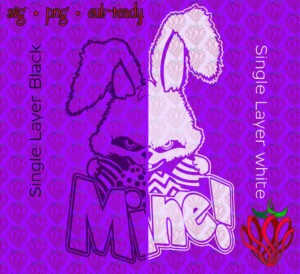 Now there is a single layer version of the Easter Mine Bunny – for those that don’t want to do many layers. Hand drawn bunny and eggs with hand edited text. These are both a single layer, white to go on dark and black to go on light colours. These are versions created from the multilayer colour original.